Four of Seavey’s dogs tested positive for tramadol, an opioid painkiller and banned substance, following his second-place finish in March 2017. 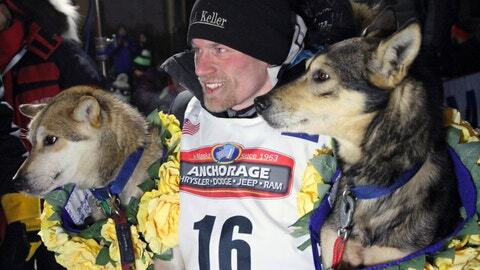 Some Alaska veterinarians have questioned why anyone would administer the drug during the race because it may cause drowsiness. “We met with him multiple times and there was (sufficient) evidence to conclude he didn’t have anything to do with it,” said Mike Mills, president of Iditarod’s board of directors. Seavey said he can’t share of all the information about the case, but he noted that one of his arguments dealt with the timing of the drug tests. The dogs had high levels of the drug immediately before test, which he knew was coming.